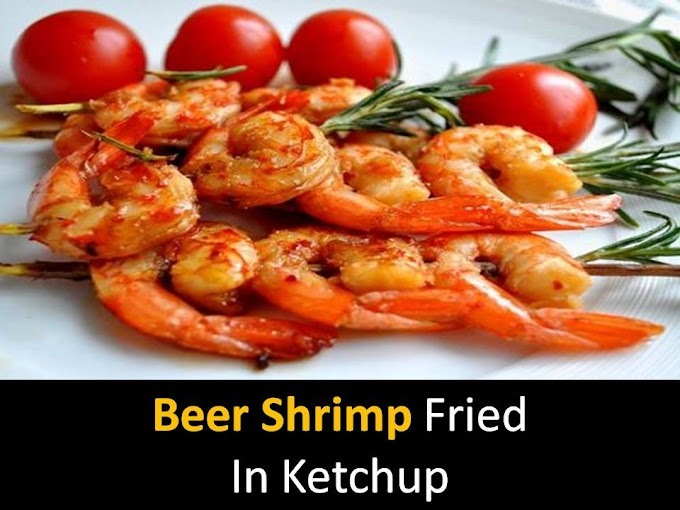 Learn how to cook a delicious salad with shrimps and vegetables at home. It is a very Simple recipe for cheese soup lover. Check what ingredients are needed for making shrimp soup? Boil for five minutes when the broth boils - shrimps are ready. Catch shrimp strain broth put on fire. @Step2 - Peel the potatoes and cut into medium cubes. Peel and wash the onions and carrots cut as for the first dish for example into small pieces. Onions can be put as a whole. After that, catch it and throw it away if someone in the family does not like onions. @Step3 - Put potatoes and onions, carrots in the broth. Cook for about fifteen minutes on medium heat the vegetables should be soft. @Step4 - Grind processed cheese or cut into cubes or grate. Put cheese in boiling broth stir. Boil for seven minutes curds should dissolve and if necessary salt. 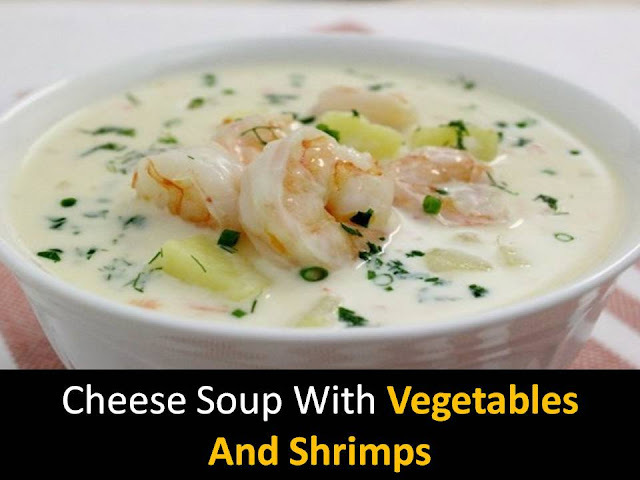 @Step6 - You can serve the cheese soup to the table spilling it into plates and decorating it with shrimps. Sprinkle with chopped parsley.